Trade show in the Strater’s Oak Room will be open during all breaks, on all days. Welcome Reception and Sign In. Join us at the historic Strater Hotel to sign in and pick up your welcome swag bag. 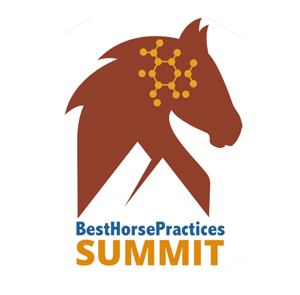 Mix and mingle with other registrants and BHPS presenters for drinks (cash bar) and appetizers in the Strater’s Pullman Room. Delicious food and beverages served from 5-7 pm. Trade show in Oak Room open during all breaks. 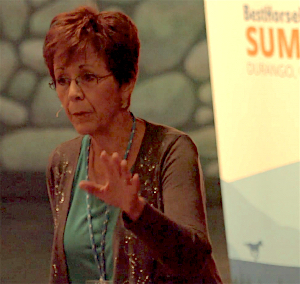 Keynote Address with livestock handling pioneer and best-selling author. Feeding for a Long, Productive Life: a smart, practical guide to identifying right’s and wrong’s in equine nutrition. Horse Brain Science. A multi-media presentation that delves into neuroanatomy and neurochemistry. Lunch Break – 12:30 – 1:30 pm – Grab your gourmet boxed lunch provided by the Strater Hotel and mosey to the nearby LaPlata Fairgrounds pavilion. 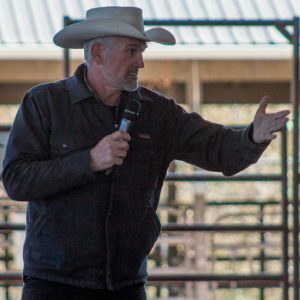 In collaboration with Dr. Steve Peters, renowned mustang trainer Taylor will demonstrate how to maximize progress with a young horse by embracing science-based techniques. Horsewomen Silva and Skinner will ride green and finished horses to show how solid horsemanship can relate equally to dressage work and cow work. 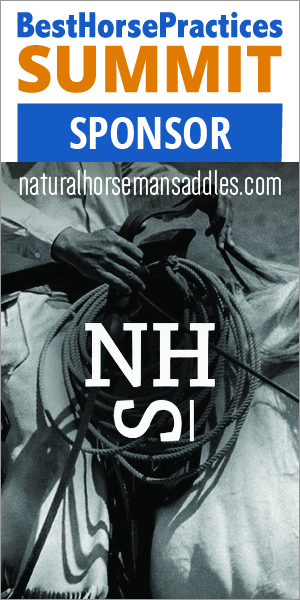 Additionally, they will demonstrate how to move toward more accomplished places of softness and finesse with less experienced horses. We head back to the Strater! 6-9 pm – Fabulous Strater Hotel meal followed by an evening of storytelling. Details to follow. Free Elective: Rider Yoga by David Stickler, 7 am. Wear comfortable clothes and be prepared to move. Class size limited. Details to follow. 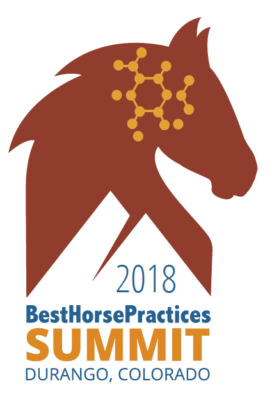 Her presentation will focus on preparation for specific hazards and simple rescue techniques for individual horse owners, including responses to barn fire and wild fire situations, on-the-road trailer accident scenarios, and mud/ice/swift water conditions. 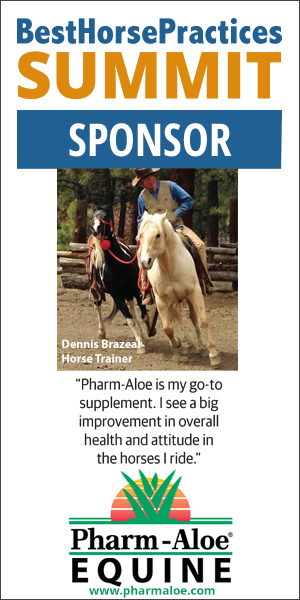 His multi-media presentation will focus on the horse’s biomechanics. Interesting graphics and a 3D animation help explain the training principles. Similarities and differences become clear in ways that can help coaches, riders, and instructors. Taylor continues his demonstrations, with science-based commentary from Dr. Steve Peters. 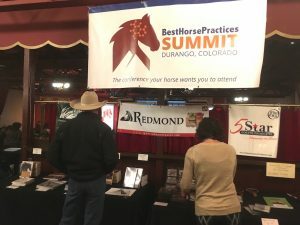 Taylor will demonstrate how to maximize progress with a young horse by embracing science-based techniques. Horsewomen Silva and Skinner continue their foundation-focused, cross-cultural demonstrations. Farewell Reception 5:00-7:00 pm, Strater Hotel Theater. We remember our time together, celebrate highlights, and visit for the last time. With a special hors d’oeuvres prepared by the Strater. Closing messages from the director and presenters. Trade Show open. Presenters available for visiting and autographs. Elective Field Trip to Disappointment Valley, hosted by mustang advocate TJ Holmes. 8 am, Meeting in Durango Transit Center parking lot, 250 W 8th St. Details to follow. Just checking schedule- I did early bird registration in April and at that time the field trip to Disappointment Valley was listed as Saturday, October 6th. Now I see it listed as Wednesday, October 10th. Can you confirm the change so I can alter my reservation at the Strater? Looking forward to it either way! Super excited about Dr Grandin as Keynote Speaker! Hi Teri and thank you very much for your comment. Just yesterday, we were informed that of the need to cancel the Stepping Up sessions. The woman charged with facilitating that element of the Summit has taken a new position on the East Coast and could not lead that day. 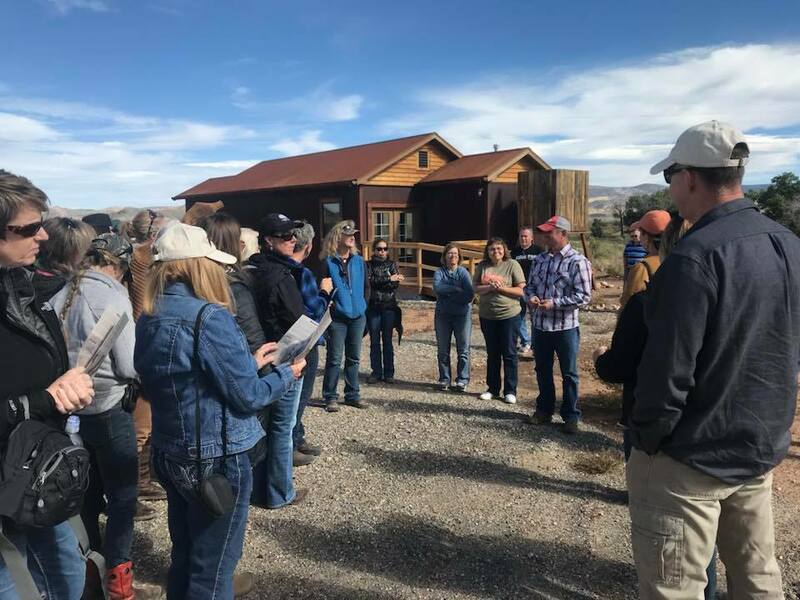 We moved the field trip to Wednesday to allow a BLM representative to speak there. He was not available on Sunday. We apologize for the switch. We tried to announce it immediately just for the reason you bring up – travel and lodging arrangements. Maddy, quick question: Is the field trip to Disappointment Valley all day? Need to know to make travel decisions. Thanks! Thanks for your question. Yes, the field trip involves a 2 hour + drive to the Herd Management Area. Last year, field trippers took most of the day to soak in everything there. See you soon!